Let’s be honest, we are living in a dangerous world. Terrorist attacks, far-right campaigns, bailouts and yes… nuclear wars too. And not only you should protect your family and yourself from those events, but also your investments. Last week, gold prices settled higher on the Comex division of the New York Mercantile Exchange, marking its best week since June as geopolitical tensions between the US and North Korea remained at a record high over nuclear missile threats. That’s right. World markets are affected by all kinds of things but we can divide those in two groups: bullish (positive) or bearish (negative) events for the economy. Bullish: When US President Trump promised a series of economic measures that will promote economic growth, equity indexes skyrocketed on optimism. Bearish: When the Britons voted to leave the European Union last year, not only the pound and stocks came down, big gains for gold futures followed. Market participants (and that includes you) use safe haven assets to protect their capital from uncertainty and dangerous situations that might turn markets upside down. A safe haven asset usually maintains its value in times of market stress. Is gold the only safe haven asset? 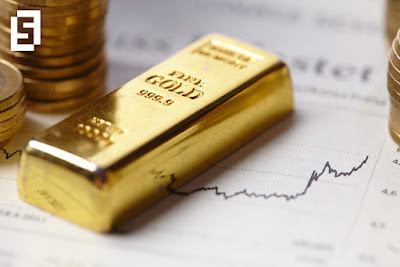 Gold is one of the most popular safe haven investments nowadays, although it’s not the only alternative for investors. Treasury bills or even some currencies, such as the yen or the euro, are also inside this category. Take a look at the French presidential elections for instance. Ultra conservative Marine Le Pen has serious chances of winning, which is seen as a huge political risk. In light of this event, market players have already started to buy gold. In case she loses, you would probably see a downward correction. Will gold always be a safe haven asset? Not necessarily. As safe haven assets gain popularity, a larger number for buyers and sellers weigh on its price, gradually making it less stable than needed. Volatility is the reason why safe havens are not expected to hold that status forever.